Values In A Time of Upheavel. Television viewers will be familiar with Pope Benedict XVI's challenging summons for unwavering fidelity to truth in a time of unsettling change. 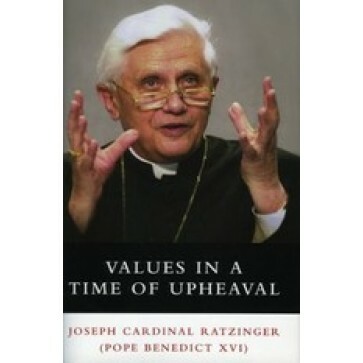 In this book of recent reflections, the Pope addresses this topic and other pressing social issues of contremporary life. Hard cover.